If you haven’t visited Moscow’s metro, you can't say you were in Moscow, because the underground is one of the capital’s top attractions. It’s up there with the Kremlin and Tretyakov Gallery. During this summer’s World Cup, the Moscow metro and Museum of Moscow are teaming up with tour operator “Metrotour” to offer new guided outings in English. 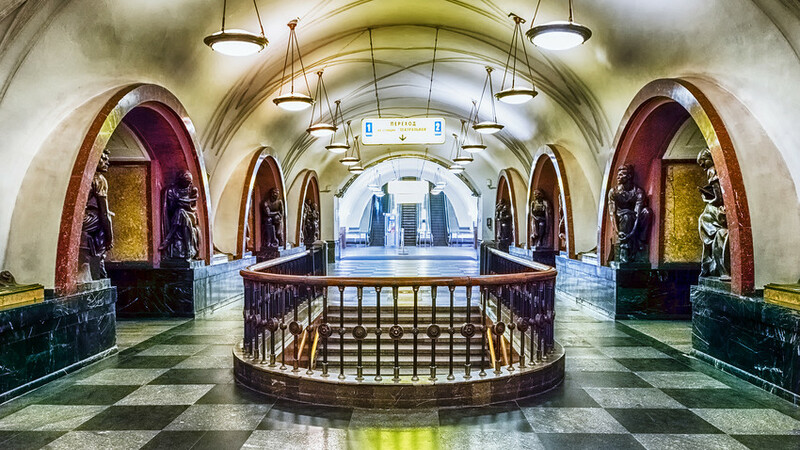 The “Traditional architecture of the Moscow metro and the new image of city transport” route will navigate the city’s most beautiful stations and explain their history. Groups will also be able to ride brand new overland trains on the Moscow Central Circle railway, while soaking up some glorious cityscapes from the carriage windows. The price of the tour is 1,000 rubles ($16). For more information and tickets visit mosburo.com.